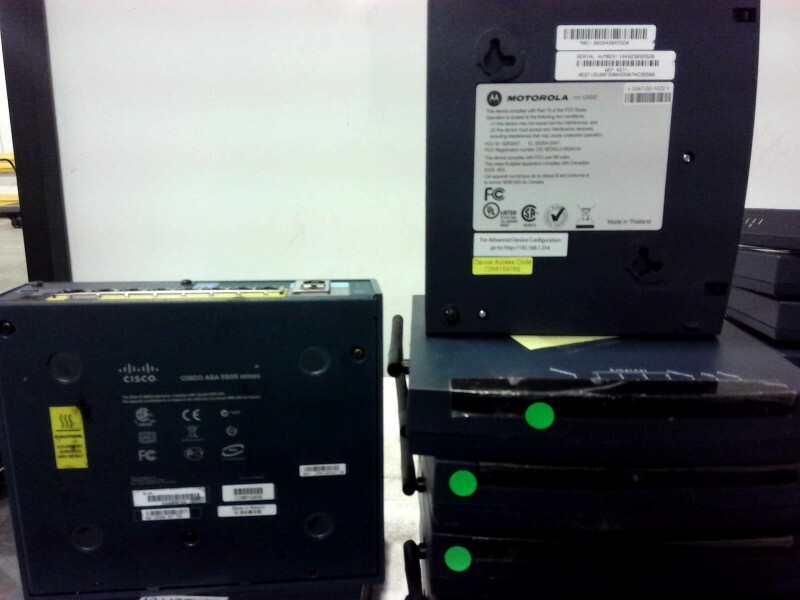 Description: Cisco ASA 5505 - 2 each. Motorola wireless - 6 each. 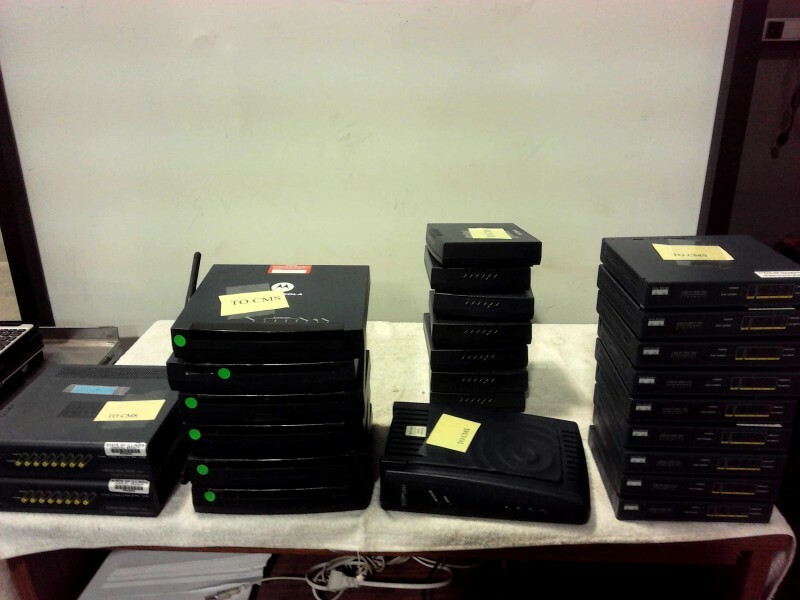 Cisco Pix 501 Firewall - 9 each. 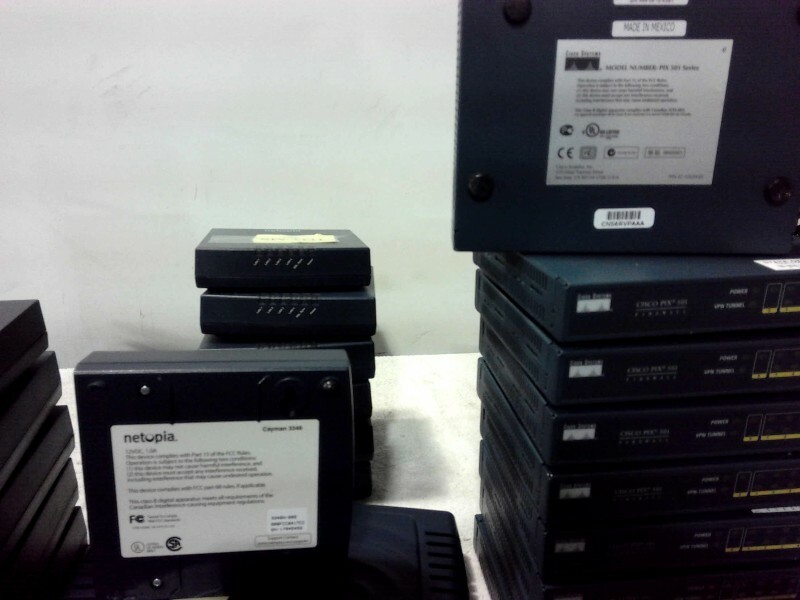 Neotopia Cayman 3500 series broadband gateway - 1 each. Neotopia Cayman 3346 - 7 each. No power cords are included in this lot.